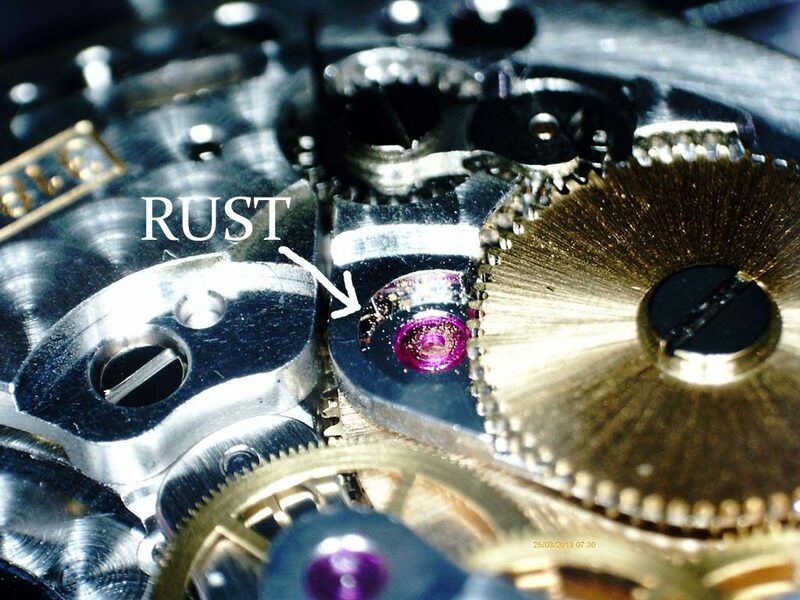 This Rolex watch stopped running. 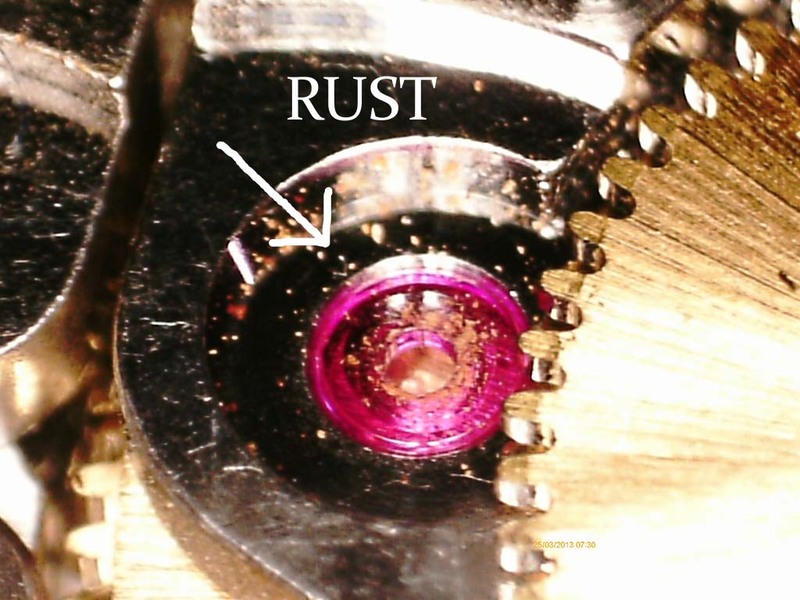 Rust was discovered on the rotor pinion and on the second and third wheel. The surface rust was completely removed, no damaged parts. 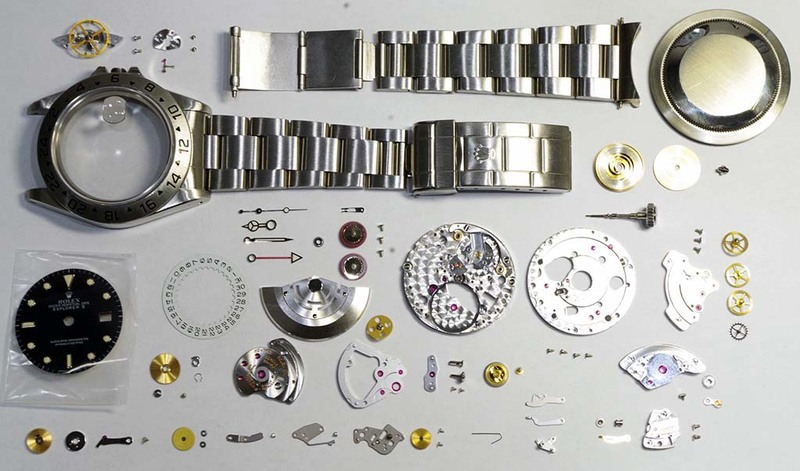 The movement was disassembled and thoroughly cleaned. 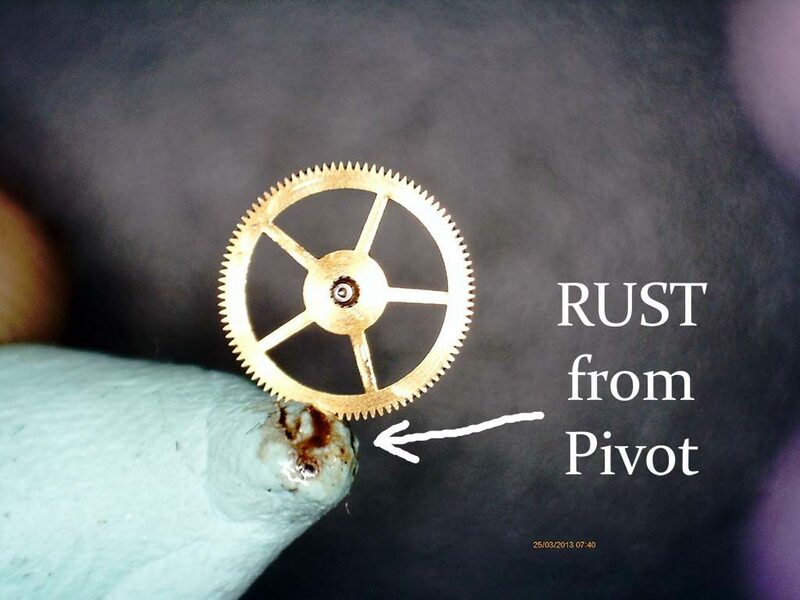 The gear train pivots were hand polished. 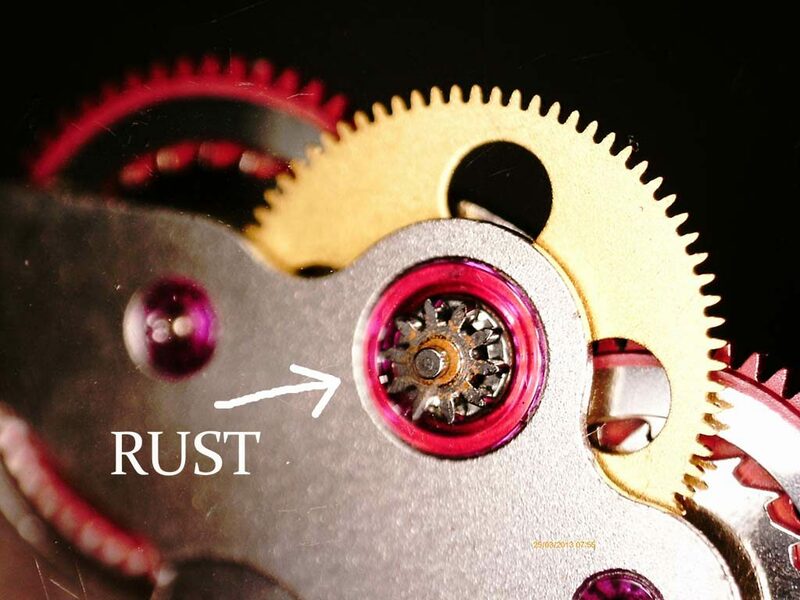 The 3185 movement was reassembled and lubricated. 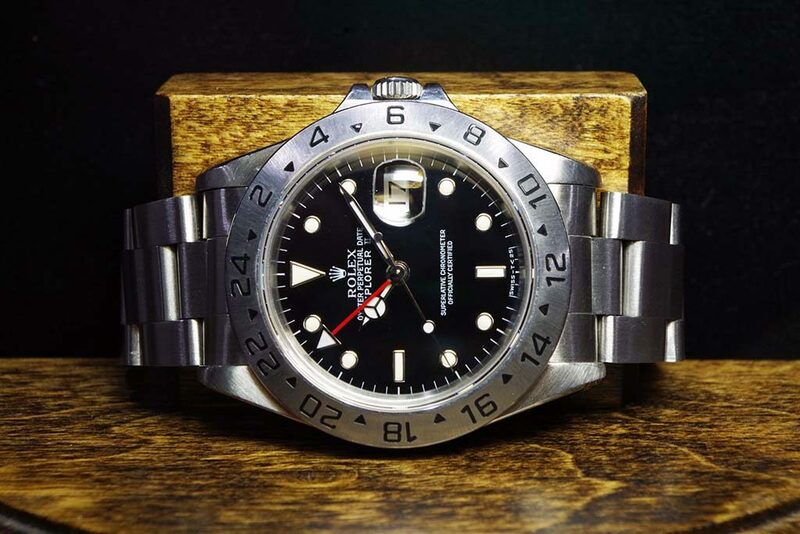 The watch was re-cased and sealed. Repair Complete. 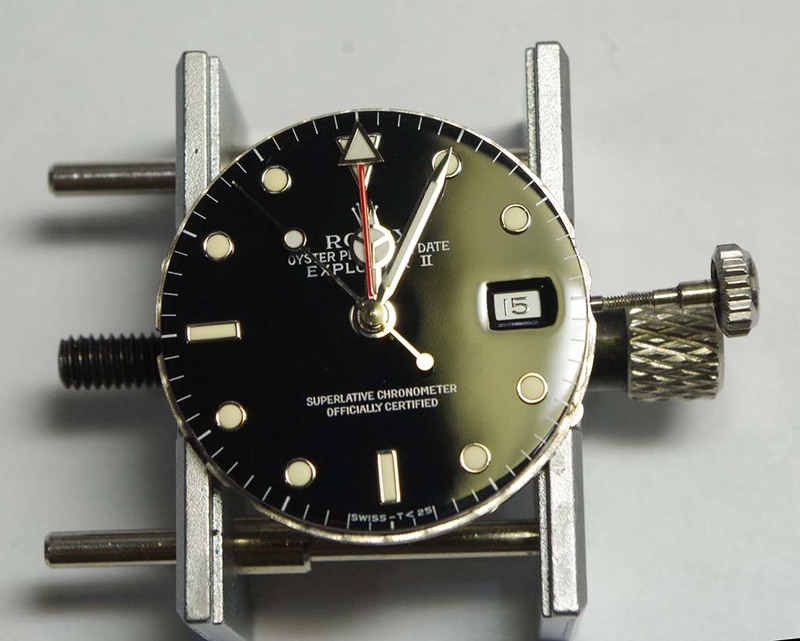 Rolex Explorer ll 3185 movement disassembled and cleaned. Jewels all hand pegged perfectly clean. Gear pivots cleaned and hand polished. Movement ready for reassembly.